Are We Being Paid By Dollar Shave Club To Write This Post? So, you might have heard, but a couple of years ago the large consumer products conglomerate Unilever (Axe, Dove Men+Care, Brut, etc.) bought Dollar Shave Club for $1 Billion dollars. That’s no small chunk of change, especially given that Dollar Shave Club was able to garner that type of valuation after only being in business for 5 years. 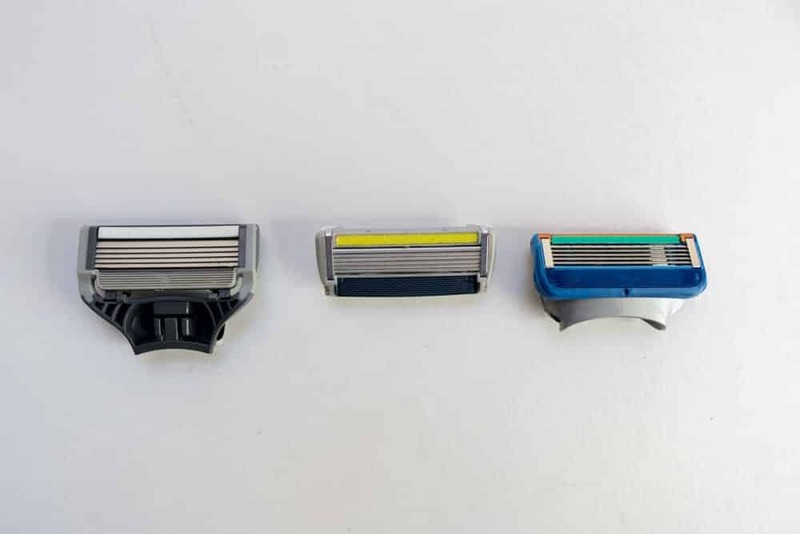 To have a sharp blade on the end of your cartridge razor is by no means cheap. 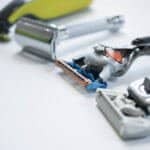 However, with competition becoming fierce in the men’s grooming world, razor prices have by and large come down over the years and us men don’t have to fork over such a large sum of money to just simply look good. 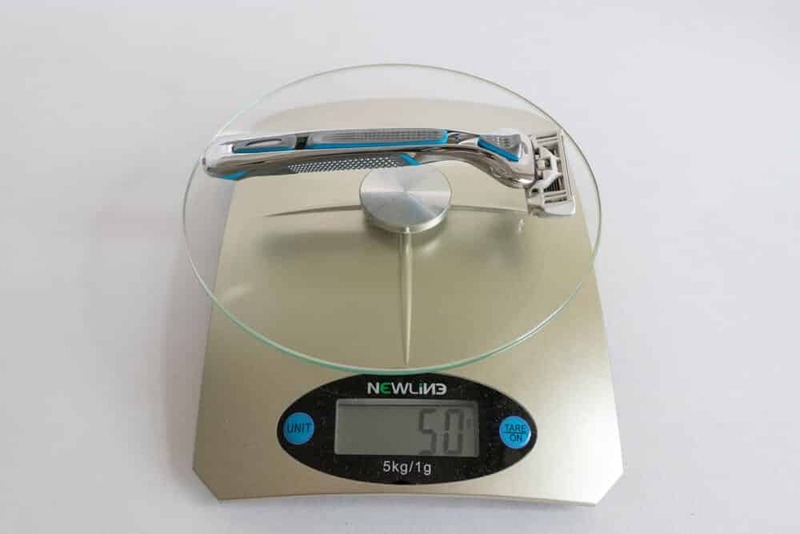 Inevitably, men who are so accustomed to paying such a high price for a razor are suddenly apprehensive when a company comes along and claims that they can provide a great shave for a fraction of the cost…. 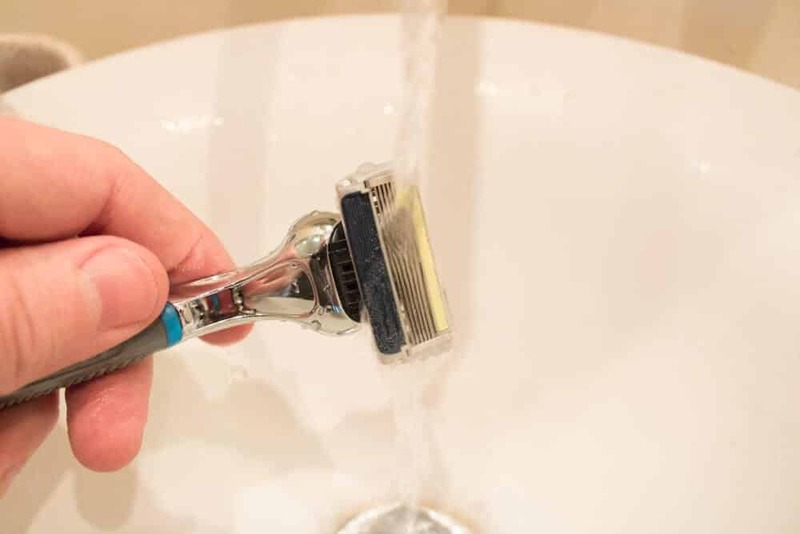 After we test drove the Harry’s razor in our in-depth review, while the marketing was slick, the razor performance just simply missed the mark. 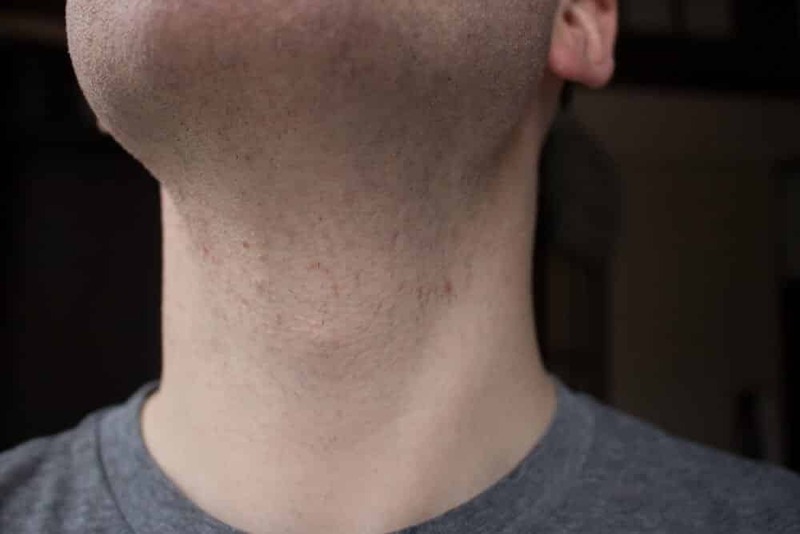 It’s this type of poor performance that can make men go back to their existing shave system. But onwards we must search for better (and cheaper) alternatives! We have no one stuffing our back pocket making us blindly say only positive things about Dollar Shave Club. If we feel some things just aren’t that great, we will tell you. Now we do want to note that, like most websites nowadays, have an affiliate relationship with Dollar Shave Club. 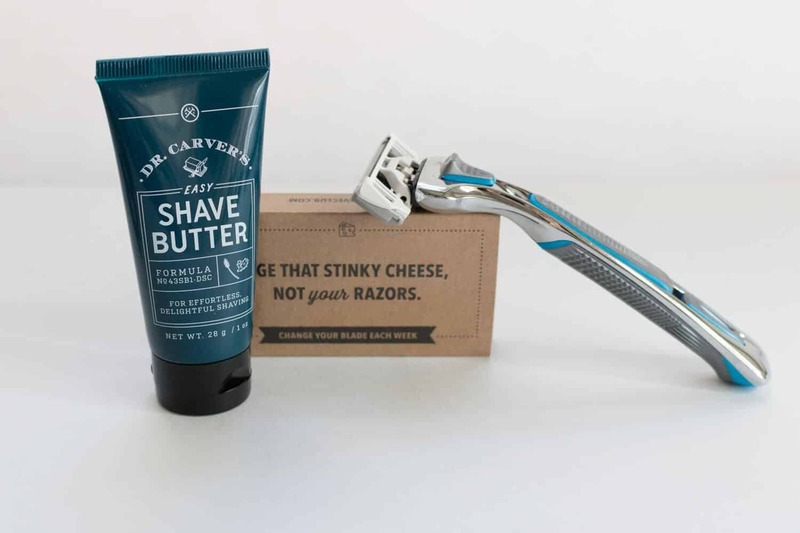 We can’t tell you specifics (because we don’t really care that much), but we do get paid a few cents if you buy anything from Dollar Shave Club if you click on a link in this article – all at no additional cost to you. If you are getting paid, then this is a completely biased review!!! And that assumption would be right! But the fact is that if you did end up ordering from Dollar Shave Club and decided for yourself that it was complete garbage and returned it, those couple of cents we made from the sale would be forfeited. So, we think it’s a fair deal and one that ensures we do deliver the best (and most accurate) information possible to you. * Part of the trial kit box pictured top-left. What we really liked about the kit is that it contains a few extras including the body cleanser that smells absolutely amazing along with the One Wipe Charlies (let’s just face it, there is nothing like having disposable wipes when nature calls while not in the comfort of your own home). As great as the extras may be, the focus today rests squarely on the razor, shave butter, and the overall shave experience. 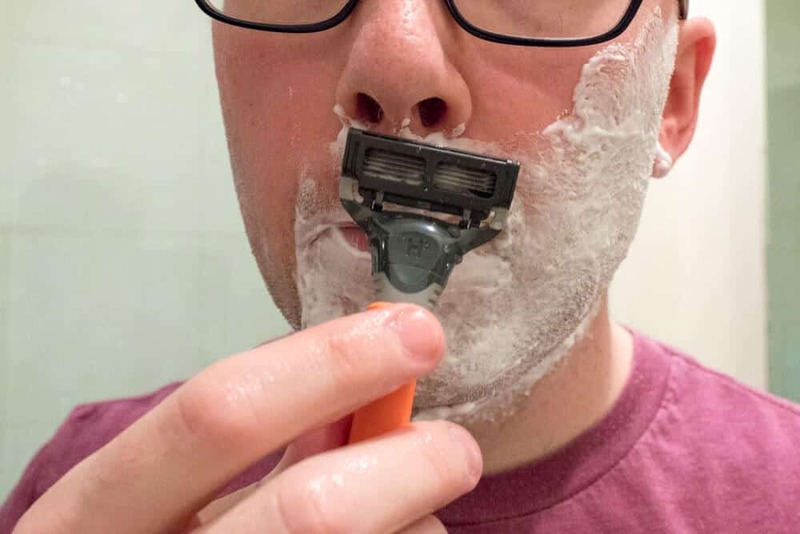 If you are looking at the Dollar Shave Club razor and find yourself wondering that you may have seen it elsewhere before, it’s because you have. 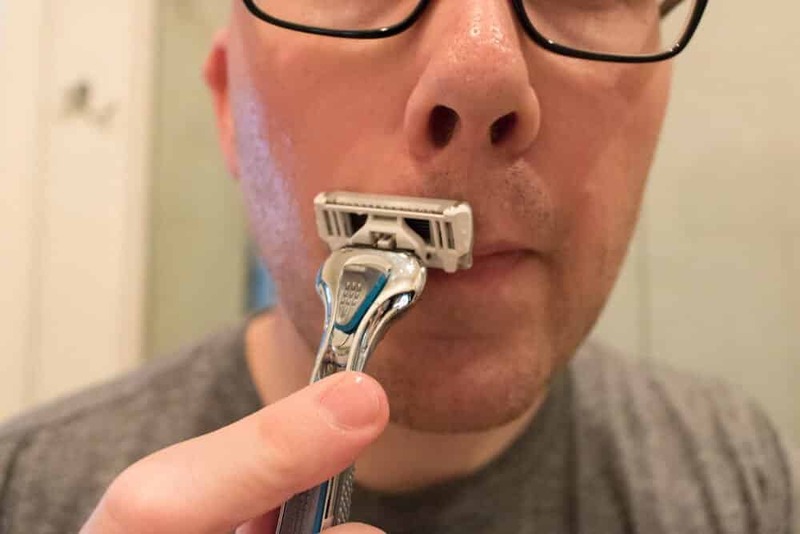 While not clad in any bold branding on the handle or cartridge razor blades, the Dollar Shave Club razor is actually a Dorco razor (Pace 6 Plus to be exact). 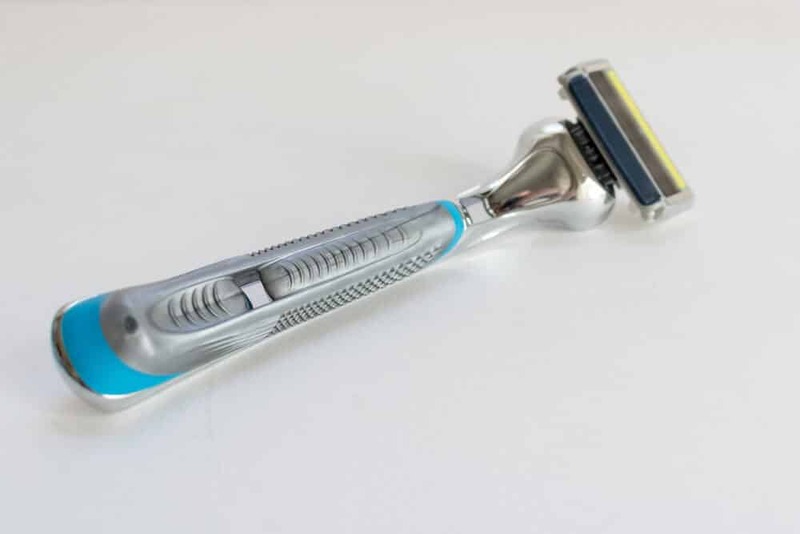 While not as popular as Schick or Gillette, Dorco is a razor company that has been around for quite some time (1955) and is largely known for their affordable lineup and is actually the market leader of disposable razors in Asia. 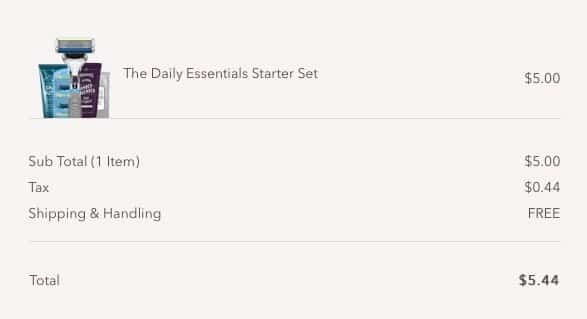 In fact, if you wanted to skip the subscription model altogether, you could simply purchase the Pace 6 Plus directly from Amazon and save a few bucks but cutting out the middleman (Dollar Shave Club). 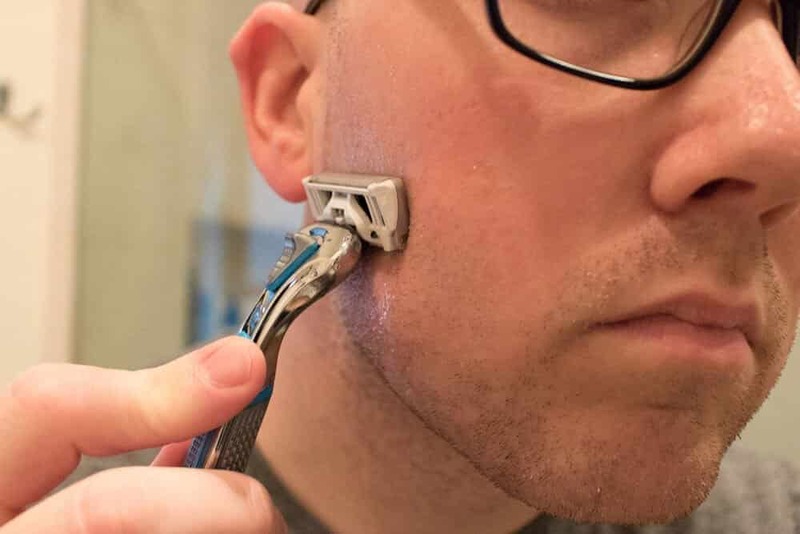 The razor itself is pretty great and does provide terrific grip while in wet shaving cream induced environment. 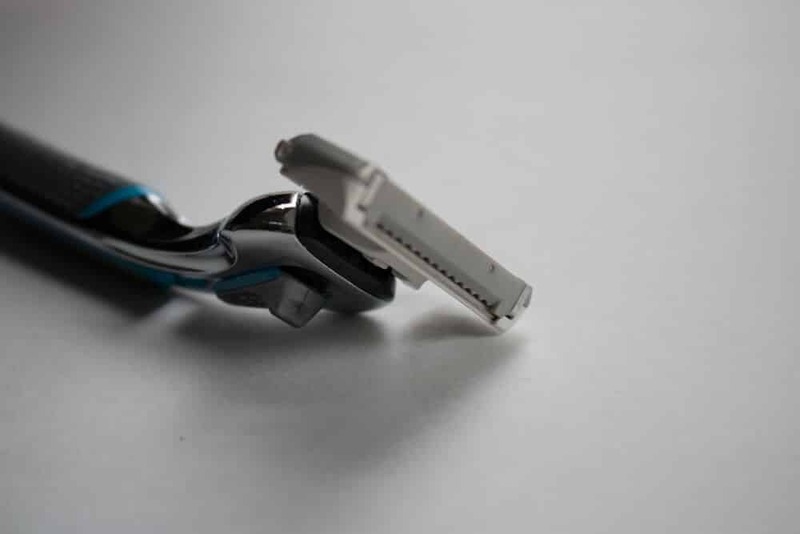 The smaller heads not only ensure a smaller gap between the blades, which may lead to increased comfort during the shave, but will also make it easier to get around the contours of your face. For reference, Harry’s weighed in at 41g while the Gillette Fusion ProGlide also came in at 50g. 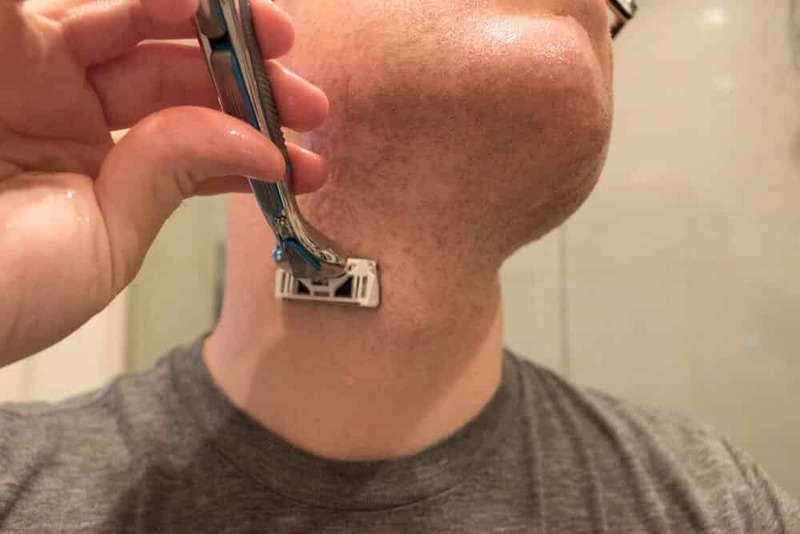 Overall it’s a pretty standard cartridge razor. 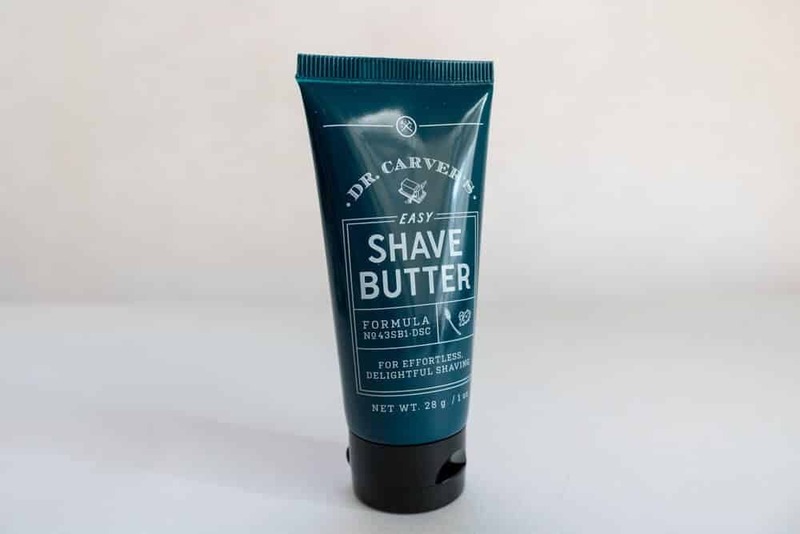 Unlike traditional shave creams that foam up when you apply them, the shave butter packed alongside your razor in the starter set is actually a type of latherless shave cream. Shave butters largely rely on natural ingredients in a latherless form in order to make your skin supple and ultimately a comfortable surface for shaving. The one provided by Dollar Shave Club is no different as you will see in just a minute. Made here in the USA, it’s packed full of ingredients like macadamia seed oil, grape seed oil, oat kernel extract along with countless others. Basically, it’s like a coat of natural goodness for your face – making it perfect for men who have terribly sensitive skin or those who like to rely on natural ingredients to get the job done. While this is just a sample size (1 oz. ), it’s perfect for travel as it comes in under the strict 3.4 oz. 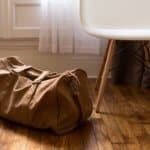 travel rule that TSA enforces. At the end of the day, if the razor and shave butter doesn’t perform well, then it’s simply a waste of money. The act of shaving by itself is a process that millions of men dread every day when they wake up. But a razor that simply leaves you in pain with unwanted irritation can make the process that much worse. 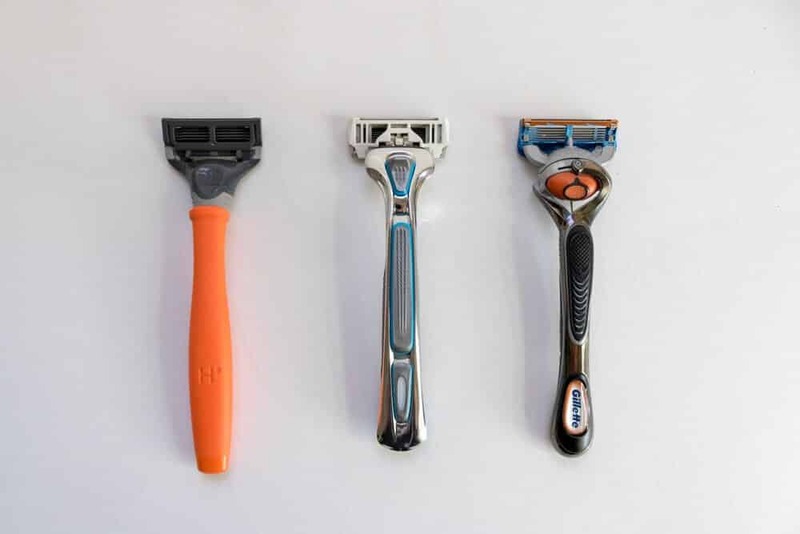 So how does the Dollar Shave Club stack up when compared to others? We will tell you in just a minute!! But first, let’s go over what the razor will be cutting through today. 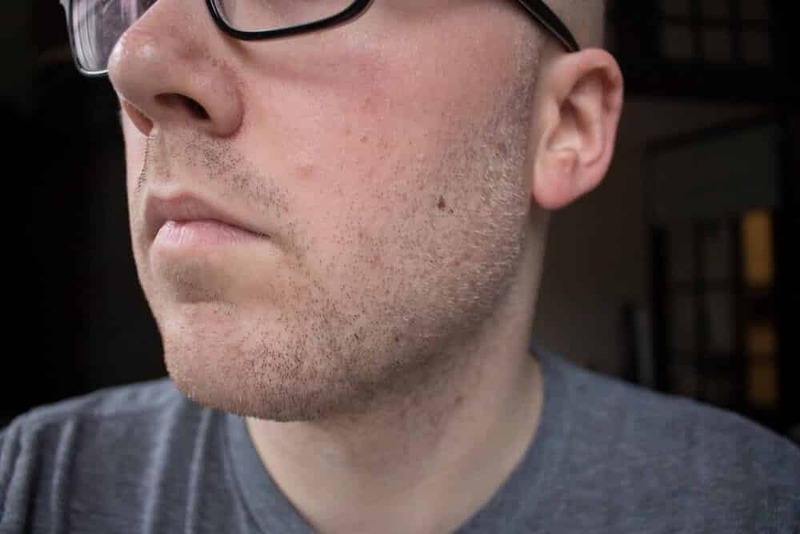 I had only a couple of days of beard growth, so the razor shouldn’t have too much difficulty cutting through the whiskers. 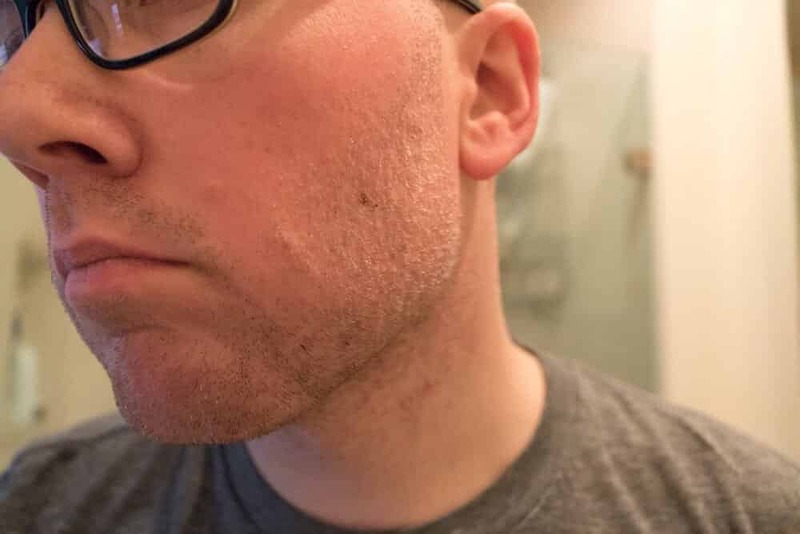 While it’s not at all apparent in the pictures, the shave butter is incredibly slick and went on clear. 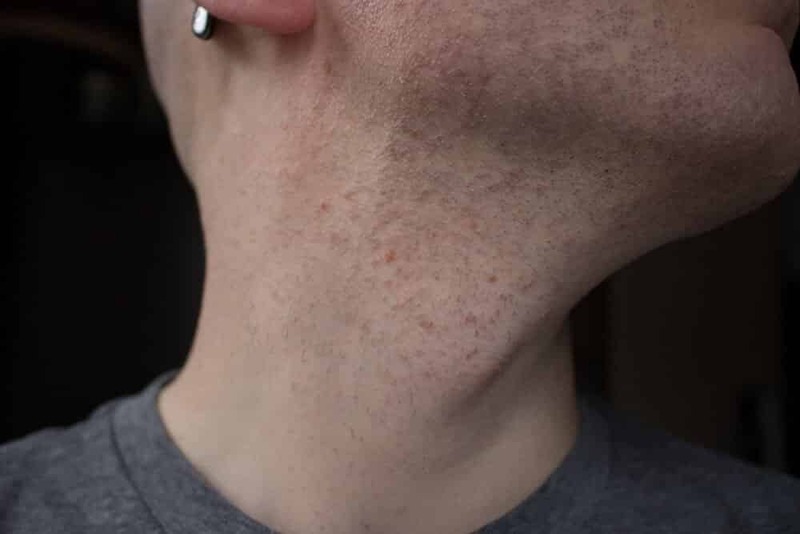 This makes it a fair bit easier to see what you missed when shaving while also making your skin plenty supple. 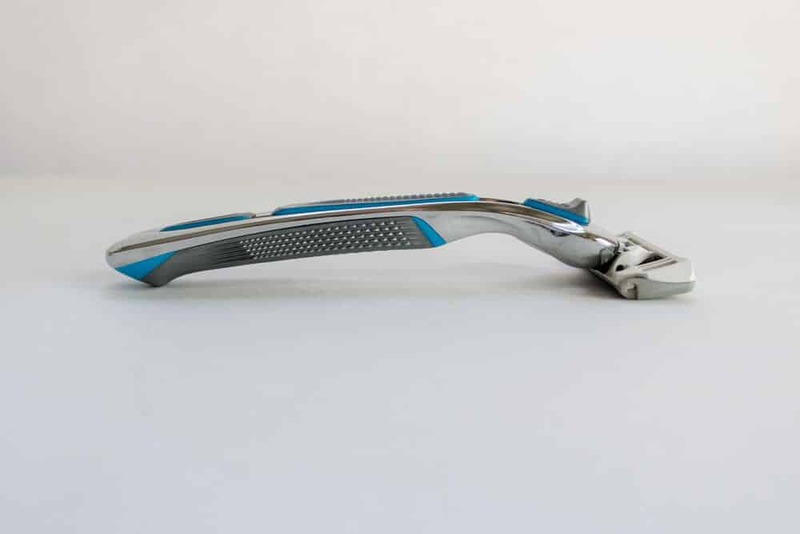 When making the passes with the razor, the pivot was still good enough to ensure that the head remained flush with the skin. One of the aspects that we think is really underrated when it comes to razor design is the height of the head. While we made the passes with the grain, there was still some mild irritation present as we will cover in just a minute. 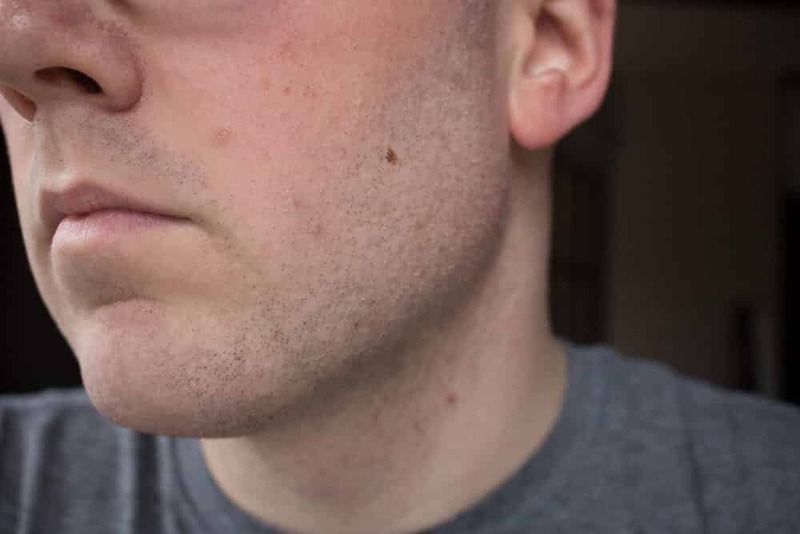 When looking at the post-shave pictures (no aftershave balm or face cream was applied yet), we were relatively satisfied with the results. 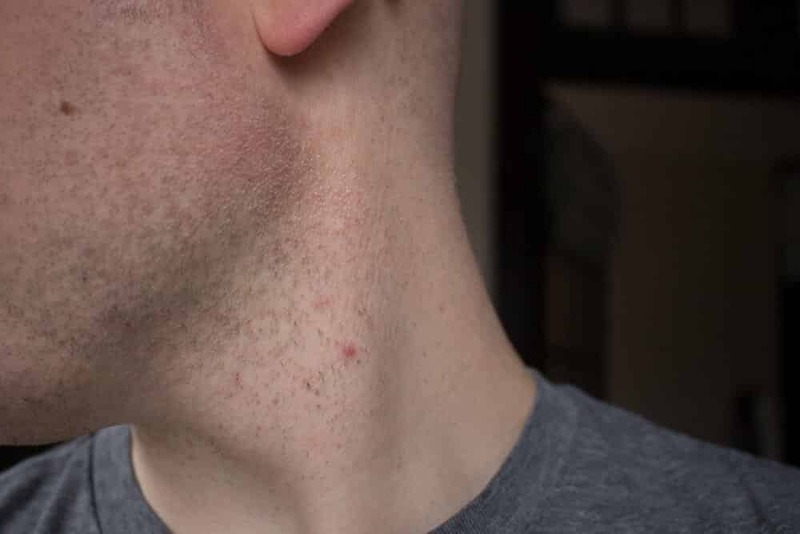 As you can see there was just a very mild bit of redness on the neck which usually happens in most instances when I shave. But overall there wasn’t any nicks or minor cuts. With a quickly growing market of shave box subscription services, it’s easy to get lost in the sea of options. 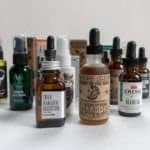 But after getting our hands on the Dollar Shave Club’s Essential Starter pack, we can unequivocally say that this is one of the best affordable options out there. 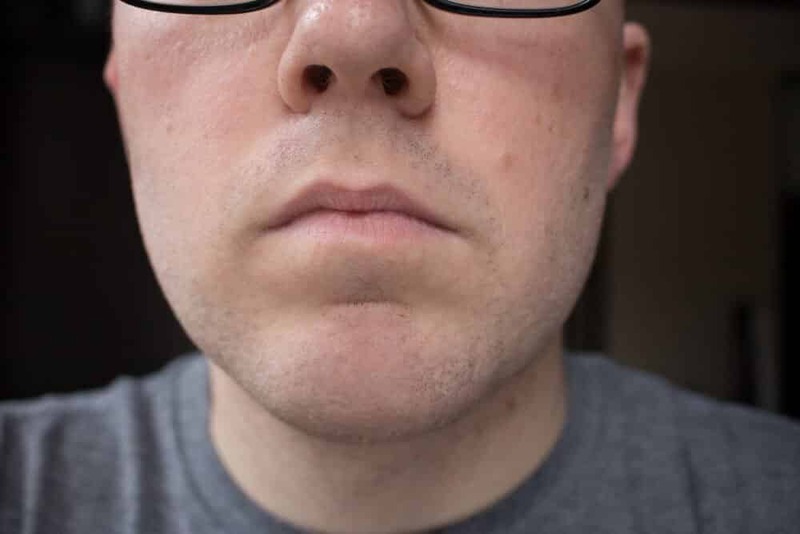 The shave overall was pretty comfortable and provided acceptable results. Having a fresh blade on a weekly basis ensures that you always get a close and comfortable shave until the next box shows up at your doorstep. This type of offering is great for the men who must (or like to) shave daily. 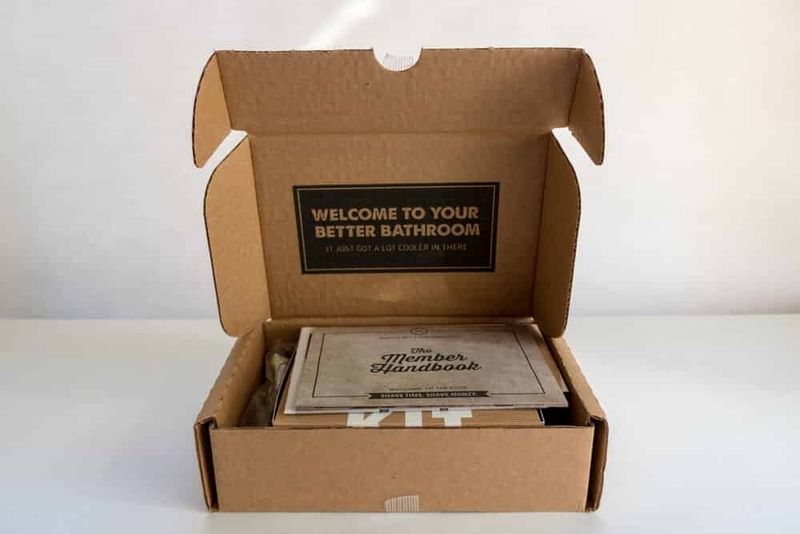 While not as beautiful in packaging as Harry’s, Dollar Shave Club has it where it counts – a good and reliable shave. 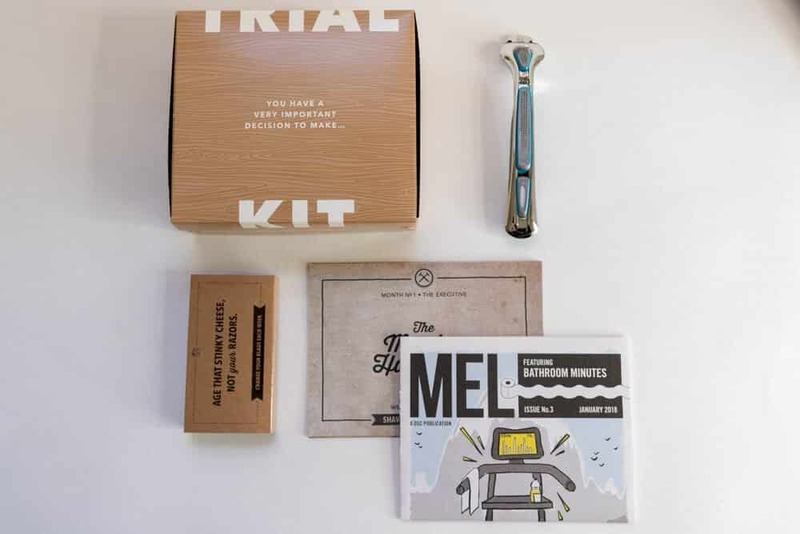 So, if you are tempted to give Dollar Shave Club a shot, simply head over to their website and give the $5 buck trial a try – especially if you have been using the same cartridge razor for years.